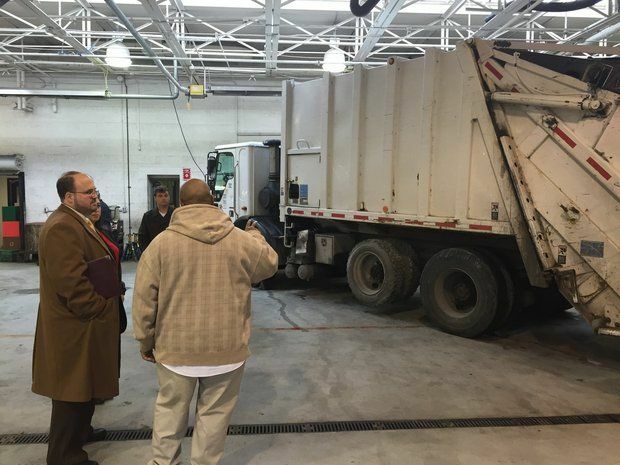 The Sanitation Division of Public Works is responsible for the collection and disposal of residential solid waste for over 20,000 households and businesses in the City of Harrisburg. A definitive guide to recycling in the City of Harrisburg. Residents are assigned a designated date for their garbage and recycling collections. These dates are updated periodically throughout the year to accommodate City holidays and furlough days. The Department of Public Works is dedicated to improving recycling service to residents and increasing the amount of recyclables collected and recovered in the most cost effective manner possible. Recycling conserves natural resources and landfill space, supports jobs, and saves the City money. Every ton recycled saves the City and its residents money on avoided landfill disposal fees and through revenues gained from sale of the recyclables. Yard waste including leaves, grass, branches, etc. : Do not place with your trash. A separate truck will pickup yard waste at the FRONT OF YOUR PROPERTY ON STREET CLEANING DAYS. Please collect yard waste into compost bags. Please tie branches no more than 4 feet long in a bundle. For more information, call 311. Do not put construction waste including drywall, cement, bricks, stone, dirt, or soil in your trash. These materials should be bagged and dropped off to the Harrisburg Incincerator. Avoid food-stained or wax-coated boxes. Flatten all boxes, get rid of all packaging materials from inside. Please stack it neatly at the curbside; please tie it up if possible. Bottles: water, juice, soda, milk, ketchup, mustard, shampoo, detergent – please remove caps! Tubs from Yogurt, cottage cheese, margarine rinse please – to prevent odors and pests. How can I view the Sanitation holiday schedule? Please view the Sanitation holiday schedule here. I have a discrepancy on my trash bill. Who do I speak with? I’d like to have a bulk item picked up. How do I do that? Residents can now put one bulk item out with their trash each week for free pickup. 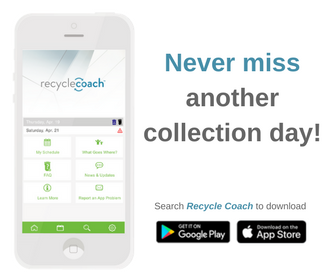 If you want more than one thing collected at a time or have an unusual item, please submit a support ticket and a Sanitation Supervisor will reply with costs and options.